We all know that I love gaming. I'm sure you all here do, too (otherwise, this is really an odd website to have on your surfing list). I'm sure most of you, like me, also like helping others. The people that run the NOVA Open certainly love helping others. That's why they're always running their charity army auctions. They've currently got one up and going for a Space Marine army with the proceeds going to Doctors Without Borders. The army was built and painted by Troy Tabanelli (from Bolter and Bows). The army comes with a customized transport case from KR Multicase. There's also special acrylic templates from TNT Laser Works. The force comes out to a bit more than 4500 points. 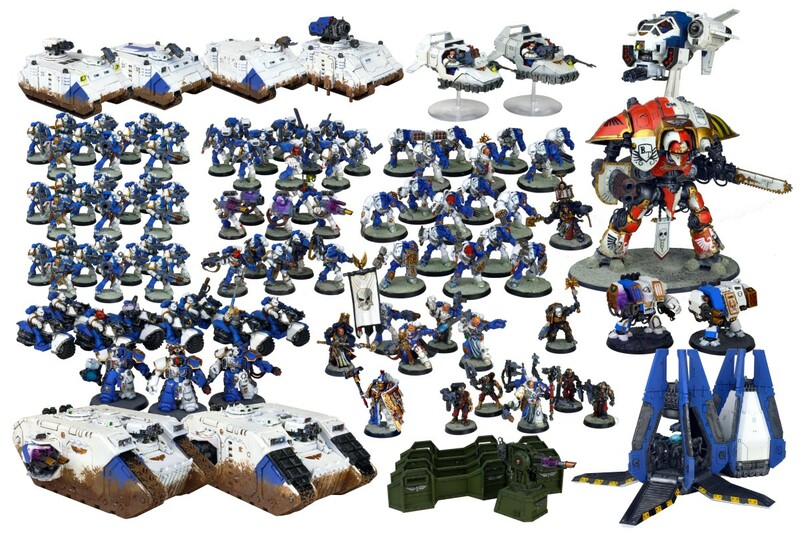 So yeah, it's a pretty good sized army with lots of options. Tickets are available now for the raffle. And you don't have to live a particular place. If they can mail it to you, anywhere in the world, you can potentially win.